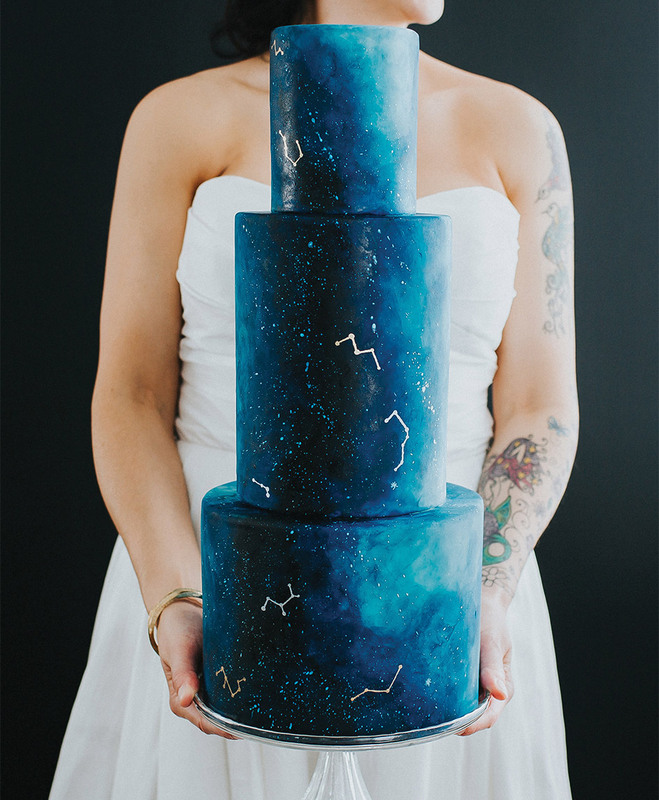 Cat Sewell of Sewell Sweets Artisan Cakes in Newberg created this dramatic three-tiered cake inspired by the night sky over Oregon. The cake’s sugar paste design is painted by hand using a watercolor shading technique that evokes the swirling cosmos. A scattering of gold stars and constellations completes the astral effect. Prices start at $6 per serving.